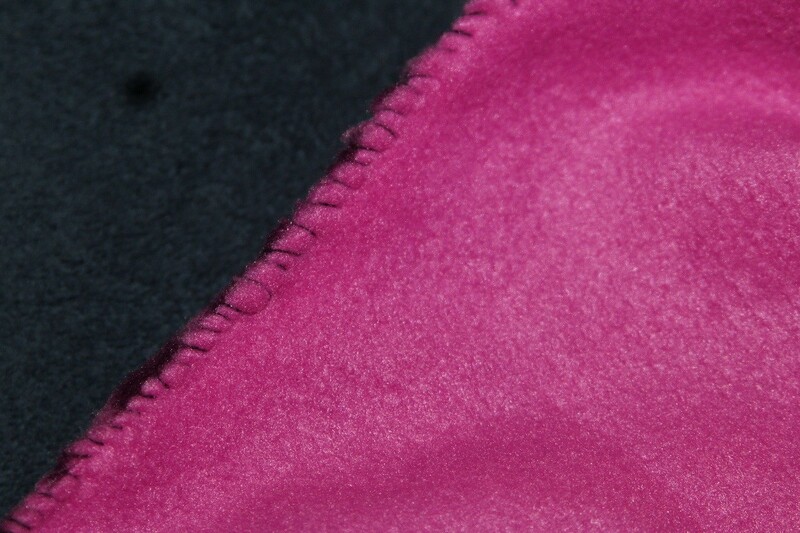 The No-Sew fleece sets are a huge savings over buying the fabric separately. The fabric store was selling the sets at 50% off, plus a 15% off purchase coupon, so I was able to get all the fabric for $12.75. Fleece fabric by the yard was running $15/yard, so the kit was a significant savings over buying the 4 yards of fabric separately. Place fabric, pretty sides together, and pin along the edges. I skipped this part when I made mine, but it's a good idea for a first project. 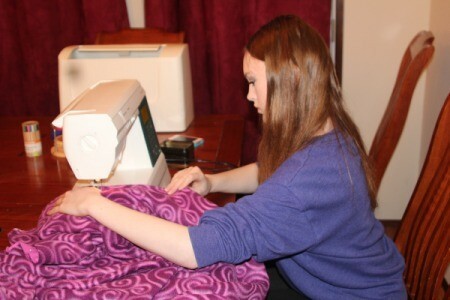 Show your teen how to thread your machine. Start in the middle of one of the long sides. 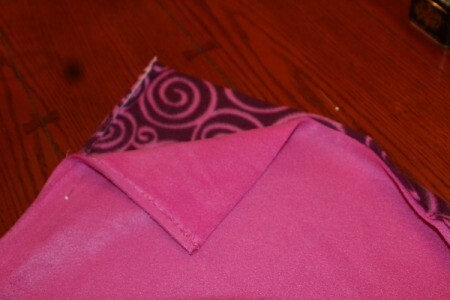 Sew about 1-inch in from the edge since the fabric will have a rough edge. I taught my daughter to lock the thread by going forward/back/forward, even though my machine has a lock option. I also showed her that it's actually easier to sew straight if you put the pedal to the metal rather than trying to be super slow and cautious. We also learned how to use the seam ripper! 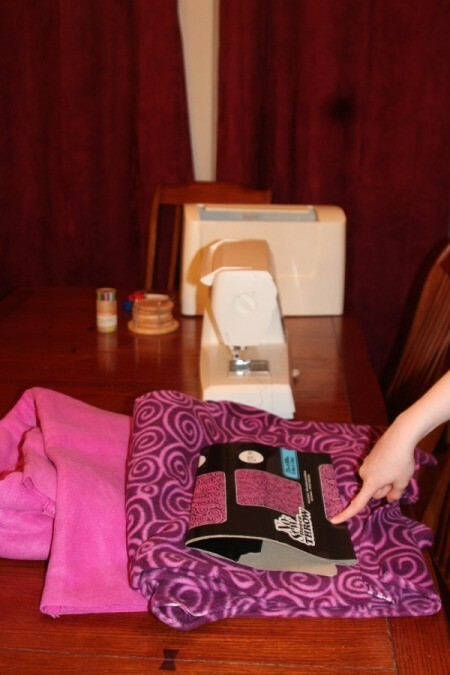 When you get to the corner, you can either sew all the way to the end of the fabric then start at the end of the short edge to sew straight, or I showed my daughter how to have the machine end with the needle in the down position and pivot the fabric. Continue all the around the blanket. Stop stitching and lock your thread about 5 inches from your starting point. 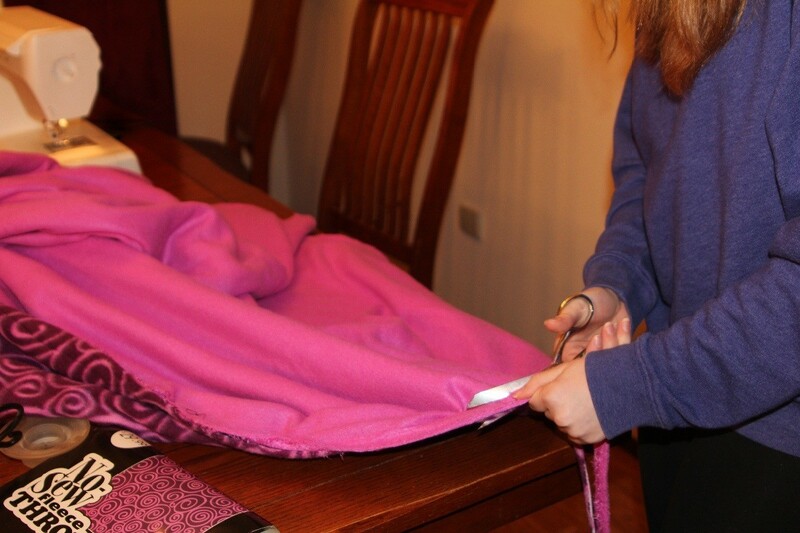 Trim off extra fabric from around the edges. 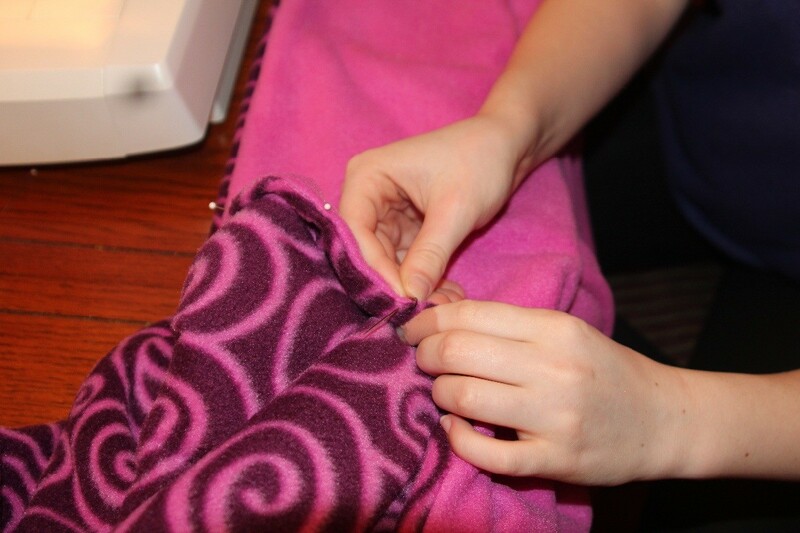 Pull the fabric through the hole so that the pretty sides are now facing out. You can use the eraser side of a pencil to help push out the insides of the corners. Whip stitch the opening shut. I showed Jenna how to start with the knot on the inside. Try to keep small, even, discrete stitches. 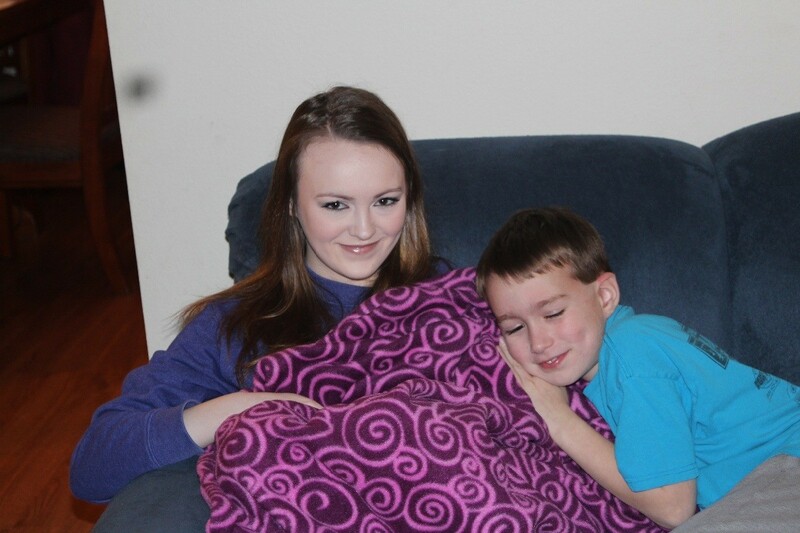 Cuddle with blanket. This is her brother doing what he called a "cuddle bomb". I love this! The colors are so pretty! When I have a project that needs turning I use my tip from Christopher Lowell who had a decorating show on TV. He used a wooden spoon handle. I bought a tool called "That Purple Thang" but I still go back to my wooden spoon sometimes.